It’s a ghost story for the digital age. 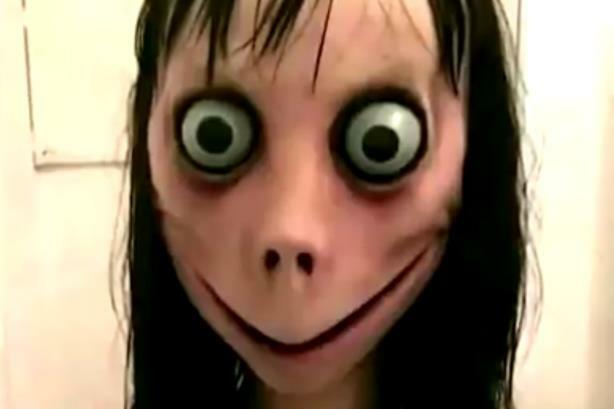 For weeks, the Momo Challenge had been supposedly popping up on children’s screens, scaring kids into acts of self-harm -- until it was debunked as a hoax. The Momo Challenge represents more than just tall tales and scary pictures. The hoax, and the others like it sure to follow, can pose a real threat to brands. "Whether it was true or not, this story broke and took off because of very legitimate concerns that exist in society about keeping kids safe online," points out Jeff Beringer, global head of digital at Golin. "When something generates this much conversation, media coverage, and responses from people in positions of authority like teachers, school administrators, and law-enforcement officials, brands have to sit up and take it seriously." Research that Beringer conducted found that more than 6,000 news stories about the challenge have been posted in the past week, including 2,400 in the U.S. Coverage included reports of terrified children and parents sounding the alarm about the challenge, named "Momo" after the image of a ghoulish Japanese sculpture called "Mother Bird," which is also the game’s mascot. Local news stations have even done segments on how parents could protect their children from the game, and that’s on top of hundreds of thousands of social media posts and shares about the challenge. In turn, schools reportedly sent messages to parents about the Momo Challenge and how they are working with law enforcement to address the perceived threat. Of course, this was all before the challenge was debunked as a hoax. "The problem with a hoax that spreads on the internet is that the initial hoax is far more shared, and travels significantly further than the message pronouncing it a hoax," says Victor Pineiro, SVP of social media at Big Spaceship. "So hoaxes can be quite threatening to brands because the initial negative news story outweighs the follow-up story proclaiming it bogus." The Momo Challenge also followed reports that platforms such as Facebook and YouTube were not doing enough to curb child-exploitation videos. Disney, AT&T, and Nestle, among other companies, said they would pull advertising from these platforms. Meanwhile, Tide, which has worked to extinguish the Tide Pod Challenge, found a laundry detergent hoax intertwined in Momo coverage. The opening line of a late February post on Parents’ website about the Momo challenge read, "The ‘Tide Pod Challenge’ was bad enough, but the latest social media trend for teens is even more disturbing.’"
"It presents an ethical dilemma that many brands are quarreling with. If your brand is meant to enrich children’s lives, can you advertise on platforms that are considered dangerous for kids?" says Pineiro. "It’s a strange moment for social media. Years ago, trust in brands started eroding, but now it’s the actual platforms their messages live on that aren’t trusted...It’s two levels of distrust that brands have to grapple with when they’re on social media." That distrust is only likely to grow with the 2020 Presidential Election approaching. This week, Democratic contender Sen. Elizabeth Warren (D-MA) unveiled a plan to break up companies such as Facebook and Google. "Today’s big tech companies have too much power...over our economy, our society, and our democracy," she said. "We want to clear something up regarding the Momo Challenge: we’ve seen no recent evidence of videos promoting the Momo Challenge," said Google-owned YouTube, noting such content would go against its posting guidelines. Facebook, which owns messaging app WhatsApp, made a similar statement. The social-media giant also noted it works with more than "70 mental health partners around the world and we’re continuously improving them to build a safer and more supportive community." Epic Games, the creator of the hugely popular Fortnite, was also given poor marks by experts for failing to say anything about the craze. "The administrators at my kids’ schools were saying that kids were getting challenged on Fortnite. That the company had no statement at all in their newsroom or social media is a big miss," says Beringer. "Regardless of whether it is true, at the end of the day, if parents don’t feel their kids are safe inside these games, they are going to turn them off." Social media pros say that brands need to have a highly visible narrative about their responsible and ethical use of social media and technology because it’s difficult to build a contingency crisis plan for online hoaxes the way a brand would for a product recall, says Caleb Bushner, VP at Bateman Group. "Internet culture has a way of making a house of mirrors out of everything. It is like trying to script for all the scenarios in which the Ice Bucket Challenge could go wrong," he says. "What you can do is have built up trust already and build an escalation plan for when a hoax does appear to be gaining traction." It’s also a wake-up call for brands to reassess their influencer relationships. Articles have traced the Momo Challenge to early last year, and some have blamed influencers for helping it take off virally. Reality TV star Kim Kardashian, for instance, warned her nearly 130 million followers on Instagram about it. "When a hoax interacts passively with influencers, dangerous sharing at mass scale occurs," says Jason Siegel, founding partner of Bluetext, adding that marketers should examine even whether influencers do fact checks. "Brands need to think about the risk in terms of influencers they engage with and having the hoax interwoven in a paid influencers stream that is shared by many folks."